The Port of Kaohsiung is the largest port in Taiwan. 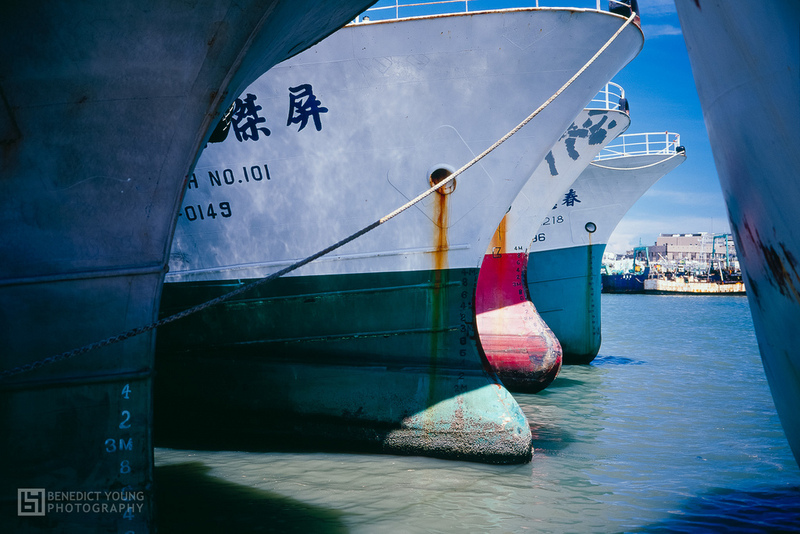 Many industries including fishing are key to the prosperity of the harbour and for Kaohsiung City. I used large 6x9cm slides with vivid Kodachrome slide film and a polarising filter to give the photos a great deal of saturation and pop.